Lisbon is the principal airport for the Silver Coast resorts and from here you are little more than an hour's drive to where you are staying. Flying to Lisbon couldn’t be easier – there are regular scheduled flights throughout the year from all corners of the UK. The flight time is around 2.5 hours, so it’s very much a short-haul journey. For destinations in SW Portugal, Faro is the best choice of airport and there are several flight routes from all over the UK. Allow up to 1 h 15 minutes transfer time to reach Sagres, a little less for Lagos and Salema. Car hire is easy from both Lisbon and Faro airports. Try Sixt or Holiday Autos. 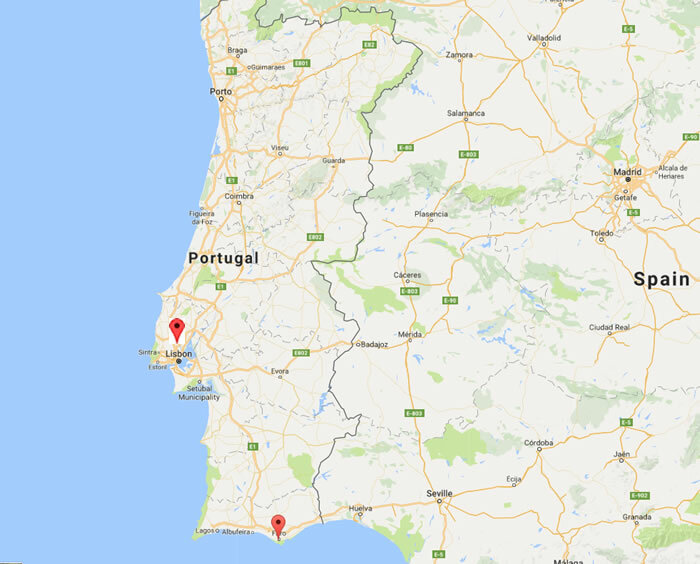 Some clients prefer to take their time travelling to/from Portugal by taking the Plymouth-Santander or Portsmouth-Bilbao ferry to northern Spain and then driving south - sounds like a good plan doesn't it!